The new features include Windows Update for Business. Since the Windows 10 launch at the end of July, Microsoft has been providing small performance and security updates to the OS, but the company has largely kept new features at bay. That all changed on Thursday when the first major update to Windows 10 arrived, crammed full of goodies for consumers and IT managers alike. Further reading: More detail on the Windows 10 update's slew of consumer-focused changes, from Cortana to a baked-in Chromecast replacement. "With this free update we have reached the point in the platform’s maturity where we can confidently recommend Windows 10 deployment to whole organizations," Terry Myerson, the head of Microsoft's Windows and Devices Group, wrote in a blog post. First off, the big update for Windows Update for Business is finally available – at least in part – with this release. Thursday's update will allow IT professionals to set up groups of devices within their organizations and stagger the rollout of updates to those devices by group. Using the service, it's also possible to set maintenance windows when updates won't get applied, which is important for maintaining a stable environment during critical periods for a business. It's an extension of Microsoft's own testing strategy with Windows 10: The company has a series of deployment rings both within and outside its walls that a new Windows update moves through in order to ensure that it's safe for consumption. The feature may ease some of the tensions around Microsoft's decision to offer only cumulative updates for Windows 10, which stops users from installing individual packages piecemeal. That has caused a lot of consternation for power users who are used to controlling exactly what goes on the computers they manage. IT managers also get access to the Windows Store for Business, which lets organizations create an application directory inside Microsoft's app store for their employees. Using that, employees can browse the available applications and download those that have been approved for their use. It's a way to connect businesses with Microsoft's app ecosystem for its new operating system, something that the company has been pushing heavily. 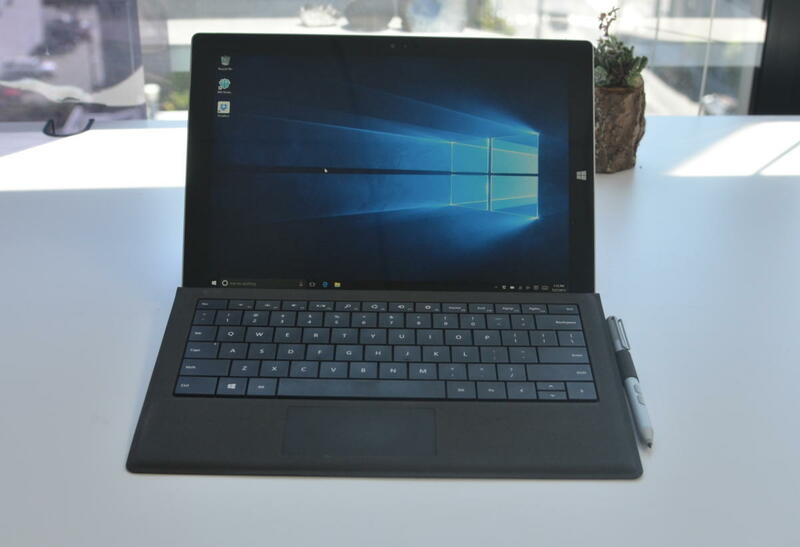 What's key about this is that it means people who buy a new device from a retail store that come with Windows 10 Home pre-installed can take it to their workplace IT department and get it hooked up to a mobile device management service that's built to manage Windows 10 devices. It's supposed to help companies deal with implementing a bring-your-own-device policy. Overall, these features are designed to push business users to adopt Windows 10 -- more than they already have. Business users are adopting the new operating system faster than they ever have before, with 12 million Windows 10 devices running across all kinds of businesses, Microsoft General Manager Jeremy Korst said. In addition, half of the enterprise customers that Microsoft works with are already testing Windows 10. The company is aiming to get 1 billion devices all running its new operating system, and getting buy-in from large businesses is key to that. These updates -- and their focus on business users -- will play an important part in driving adoption. Of interest to consumers, the update also improves Cortana. She sports some new functionality, including the ability to write notes on touch devices that will will generate reminders later, and improved tracking of events based on tickets from companies like Fandango. Microsoft Edge can now show previews of tabs and synchronize favorites across devices. Cortana is now available in Japan, Canada, Australia and India.